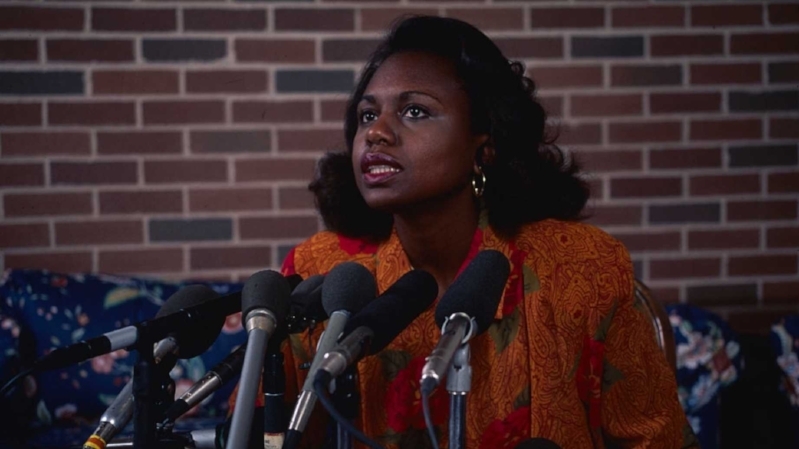 In the midst of the circus of the Brett Kavanaugh hearings and Dr. Christine Blasey Ford’s accusations that he sexually assaulted her, I found myself, like many others, thinking about Anita Hill. When she testified to the Senate Judiciary Committee in 1991 about the sexual harassment she experienced while working for Clarence Thomas, I was 8-years-old. I don’t remember the hearings for George H. W. Bush’s Supreme Court Justice Nominee. Over the years I would learn about Hill’s contribution to women’s equality, particularly when it came to sexual harassment. It was the first high profile case of sexual harassment and it brought to light the conditions that women were working under in a way that hadn’t been done before. To refresh my memory, I watched the 2013 documentary Anita Hill: Speaking Truth to Power. The footage from the hearing was deeply disturbing. I had seen brief clips of her answers but I hadn’t watched the questioning before. You know how when you’re young, adults tell you that if you get an “icky feeling” around someone that you should get away and tell a trusted adult? I had that icky feeling watching the questioning of Anita Hill. It began by a Senator describing the purpose of her questioning about “allegations which may have occurred or may not have occurred.” Allegations by definition may or may not have occurred so the only reason to say that is to give the emphasis on not (his emphasis, not mine). It set the tone for the proceedings. Anita Hill had given a written statement that described in detail the things that Clarence Thomas had said to her. Despite this, when she would reference an incident, the Senators (including everyone’s favorite, Joe Biden) would make her retell all the details. It was harassment itself. They asked her to describe “the most embarrassing aspect” of what Thomas said to her. Then of course, they would minimize the embarrassment of it. They made her repeat the pornographic things Thomas had said. She suffered this all with composure but it could not have been easy. She was (is) a dignified woman and she was being humiliated by repeating the disgusting things this creep had said to her not only in front of a panel of men (not a woman to be seen) but on national television. The documentary included commentary by Jill Abramson and Jane Mayer who wrote Strange Justice: The Selling of Clarence Thomas. I think they were meant to be on Hill’s side but even they weren’t able to see the Senator’s behavior for what it was. Abramson suggested that they were asking these intrusive questions in the manner they were because they didn’t believe that the things Anita was saying Thomas said could be said. She was suggesting that these men were too innocent to believe that professional men like themselves could talk this way. That group of powerful white men knew those things could be said and worse because they have thought, said, and heard the like themselves. They were questioning her like that because they wanted to make her uncomfortable—to punish her for speaking out against a powerful man and for their own perverse pleasure. Mayer did recognize that “they were humiliating her a little bit, too, by making her go over this again and again.” This was a gang sexual harassment in public. Another Senator asked, “Do you think he got some pleasure out of seeing you ill at ease and vulnerable?” The parallel was just too much for me. Thomas said sexual things because he enjoyed making her uncomfortable and the Senators in that committee made her repeat them because they liked to see her uncomfortable. The reason that I am sure about this is because I have had men say things to me or try to get me to say things because they knew it would make me feel ill at ease and vulnerable. I know what it sounds like when that is happening and that was exactly what was going on in that hearing. We often focus on the sexual nature of Clarence Thomas’ harassment of Anita Hill but there is a broader issue that it represents. Harassment of any kind is an abuse of power. Thomas was being vetted for the most powerful judiciary position in the country. Hill wasn’t just standing up for women. She called out a person who was willing to abuse his power in a gender-based way. If he is willing to exert power over his subordinates in one way, what other ways will he be willing to abuse his power? This wasn’t just for us women or the daughters and granddaughters of the men who stood by Hill. Speaking truth to power protects everyone from that power. Twenty-seven years later and I’m still mad about it. I think what makes me most mad is that these issues are still issues. Despite the progress made on the back of Hill’s sacrifice, we are still suffering the gender-based power plays of men through harassment and assault. And men are using the same tactics to ensure they don’t face consequences for these power plays—denial, minimization, threats, character assassination. Hill was threatened with bombs, sexual violence, death, and loss of her job. At one point when discussing the backlash she received, Hill said “I hope that this will not deter others from coming forward.” But that is exactly what the Senate Committee wanted. This was a warning shot at women: Don’t come for our men, we will ruin your life. 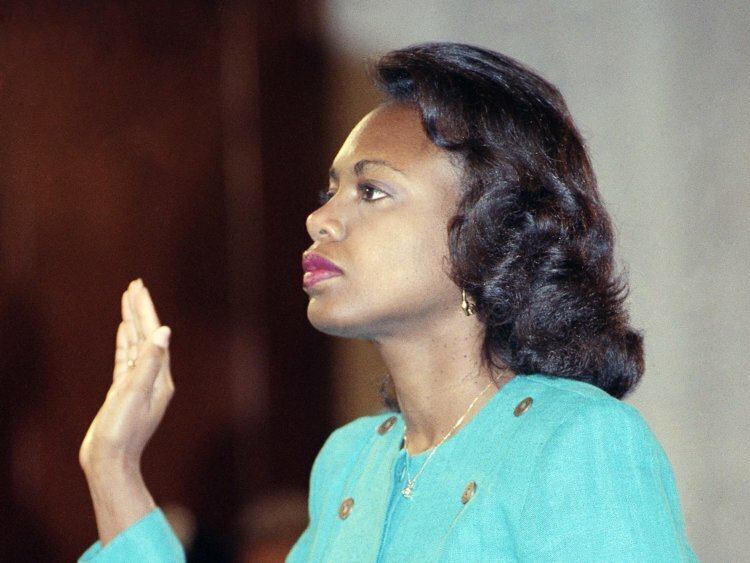 Once again, Anita Hill stood up to power and refused to let them have their way. Instead of allowing this trauma and then the multiple re-traumas of this experience ruin her life, she used it. She taught about it, wrote about it, and spoke about it. Despite the attempts to shut her up or punish her for speaking truth to power she was able to thrive and to galvanize millions of women to push back against the abuses of these powers. Today we have #MeToo. In 1991 we had Anita Hill.